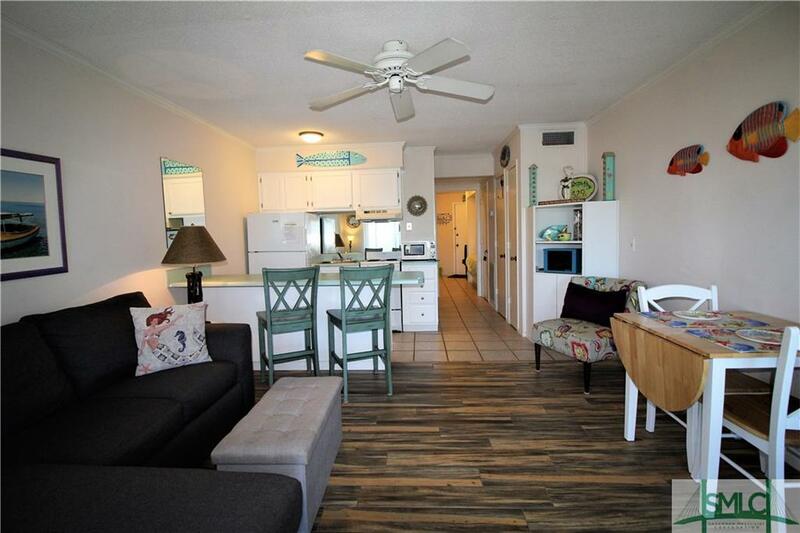 Located on the North End of Tybee Island, this adorable 1 bed/1 bath condo is perfect for vacation home or investment property! Restaurants, shops, and entertainment are just a few blocks away; and when you are done with the excitement you can retreat back to relax by the pool or on the beach away from the noise. Condo is located on the 3rd floor, where the sun sets on the opposite side so you can enjoy cool breezes from the balcony. This gated community features large pool, tennis courts, clubhouse area and private beach boardwalk. Bring your bikes and kayaks, there is also storage for them! This unit sold completely furnished and move in or rental ready.